Ewe! When you get called out to assist with blood stains you never know what you’re going to see. In this case it was a huge stain right in the middle of the bedroom. It almost looked like a crime scene but it wasn’t. Just a very unfortunate mishap. We were up to the task however. You can’t clean that kind of stain out so it had to be removed. 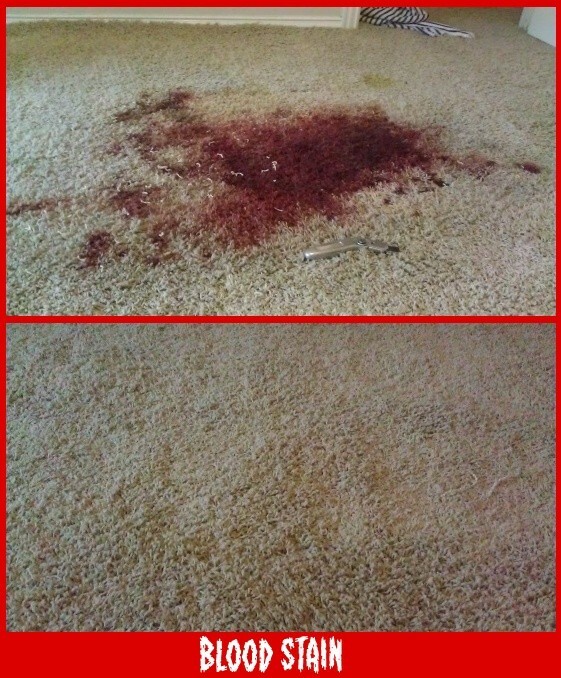 We seamed in a brand new piece of carpet and when we finished there was no hint of the crime…heh….accident.